Scroll down to learn more about this exciting event & discounted lodging! 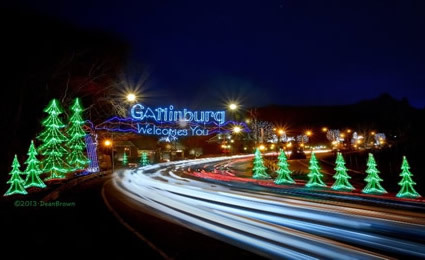 There’s No Place Like The Smoky Mountains for The Holidays! 3 Days of Sewing! Embroidery! Quilting! Education! AND FUN! Our Special Guest Educator This Year Will Be the Amazing Alex Anderson! 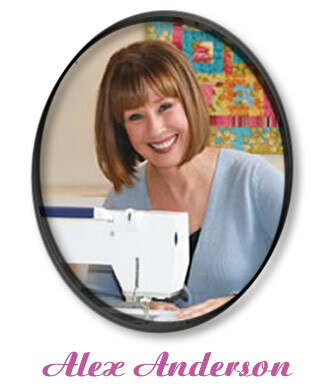 Fabric Designer, Educator, Author, TV Personality, Quilter! Alex is the author of 30 books in four languages selling over 1 million copies worldwide. She is a designer of fabrics with RJR Fabrics, and Co-Creater with Kay Brooks of RNK Distributing of the Quilters Select brand. Alex Anderson’s love of quilting all began in 1978 when she completed her Grandmother’s Flower Garden Quilt as a part of her work towards her degree in art from San Francisco State University. Over the years her central focus has been to understand fabric relationships and an intense appreciation of traditional quilts and beautiful quilting surface design. Alex is a founding partner of The Quilt Show.com and The Quilt Life magazine (publisher AQS) with Ricky Tims. The Quilt Show is the world’s first full-service interactive online video/web TV created just for quilters worldwide. With over 140,000+ registered members in over 100 countries, The Quilt Show.com’s mission is to educate, inspire, entertain, connect and grow the world quilting community in a fun, positive and interactive environment. The Quilt Life Magazine (2009 – 2014) celebrated the lifestyle of today’s quiltmaker in a fresh and beautiful format. In 2010 it was awarded one of the The Library Journal’s top ten new magazines. 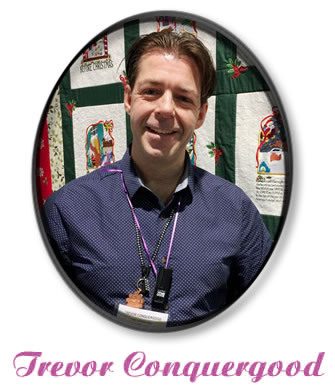 Alex was also chosen by the readers of Quilter’s Newsletter magazine (Feb 2009) as “The Most Influential Person in The Quilting Industry” (in a three-way tie with Ricky Tims and Karey Bresenhan of Quilts, Inc). Alex and Kay co-created the Quilters Select Product Line and on Friday December 14, she will take the lead in Kays Class to personally explain not only the features and benefits of every product but why it was needed. Once you have met Alex face to face and attended her class you will truly understand her personal love of the art of quilting! Alex’s personal mission is not only to share her love of quilting with anyone who will listen, but to educate and encourage those interested in quilting as clearly and simply as possible, so quilting can continue to be handed down from generation to generation. ONLY 75 SPOTS AVAILABLE FOR THIS EVENT! RESERVE YOUR PLACE NOW BEFORE THEY’RE GONE! Price: $299.99, $199.99 early bird discount! It all starts on Wednesday Evening, Dec. 12th (5:30PM – 8:30PM) with our amazing and FUN-FILLED Welcome Reception including light snacks and refreshments, educational opportunities, and LOTS of PRIZES!!!! Classes will begin at 8:30 AM every morning, Thursday - Saturday (Dec. 13th – 15th) and continue through 5:30 PM each day. There will be a one-hour dinner break on Thursday and Friday Evening and then we will offer another FUN-Filled Edutainment Session from 6:30PM – 8:30PM. All in the Mountains of East Tennessee during the most Magical Time of the Year! 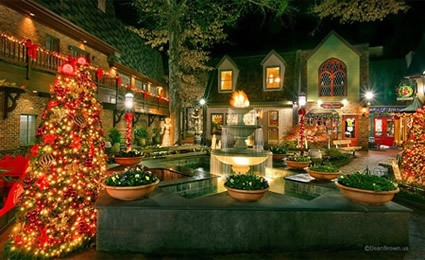 Mark Your Calendar and Plan Now to Be a Part of the Smoky Mountain Holiday “Hands-On Sewing®” Retreat! 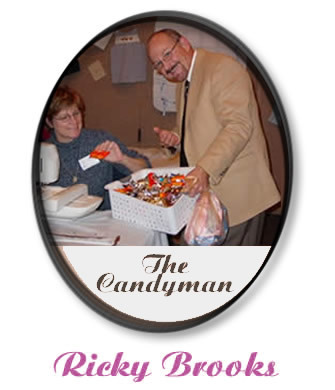 In addition to our special guest Alex Anderson, Ricky Brooks, AKA “The Candy Man” will be returning with by the “Stabilizer Goddess” Kay Brooks, International Embroidery Educator Trevor Conquergood from Saskatchewan Canada, Hands on expert Kathy Quinn, Judy Fredenburgh and a complete support staff from RNK Distributing will treat you to 3 full days of Sewing! Embroidery! Quilting! Education! AND FUN! The Use of a Brand-New TOP Of The LINE MACHINE! Wednesday Night Welcome Reception with Surprise Presentation, Light Snacks and Refreshments. Lecture Demo class with Hope Yoder! Embroidery Software Classes with Trevor Conquergood! All Supplies Used in All Classes and All Tools or Equipment Needed For all classes. All you will need for this event is a change of clothes, and a willingness to be totally spoiled for three days! Thank you for your interest in the Hands-On Sewing Schools. 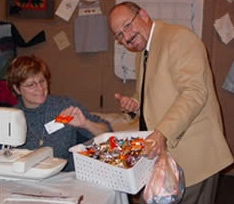 My name is Ricky Brooks (aka Candy Man), my wife Kay and I founded Hands-On Sewing Schools over a decade ago and we have always said the schools are the most fun we have ever experienced in the Home Sewing Industry. 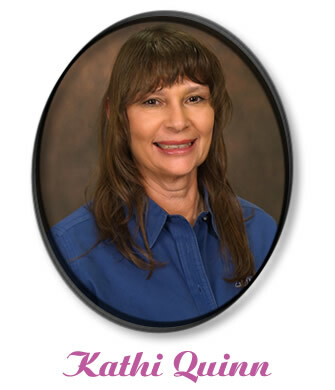 Kathi Quinn, of El Paso, TX has been the lead educator for the Floriani Division of RNK Distributing for over a decade. Kathi’s ability to mix just the right amount of entertainment with education has made her the most requested educator at RNK. Her vast experience in the industry, having worked with multiple brands gives her a knowledge base that is not only unique, but extremely beneficial to her students. Kathi has single handedly propelled Floriani Software Education into a realm that is unmatched in our industry. For years, Floriani Software Owners have welcomed her into their homes on a weekly basis as she presents the FREE weekly Floriani Software Club Training Videos. She has recently launched a brand-new level of Software Training called The FTC-U Progressive Classroom and if you haven’t already subscribed, you will once you have viewed one of her classes. At the Pigeon Forge event and under the direction of the Funny and Entertaining Kathi, each of our attendees will stitch and complete one of these beautiful panels each day, and each will leave with the completed Holiday Banner Project that is sure to be a family treasure that brings “Joy” into your household for generations to come. You will love all the different techniques, tips and tricks you will learn in the process of creating it, and your family will love the fact that is was made entirely by your hands. We will make sure no one leaves with an unfinished project. And this project will be constructed using a brand-new machine that has never been used before at a Hands-On® Sewing School event, so no previous machine or brand experience is required! While the lessons learned at this event will be applicable to any machine, we will be taking trade-ins for anyone who "bonds" with this machine and as in the past, we will have an offer that would make Santa jealous! In addition to the Hands-On Stitching Classes, all attendees will be enrolled in brand-new lecture and demo classes that will send them home with a wealth of knowledge that will enhance their abilities and increase their enjoyment with this hobby we call “Crafting, Embroidery, and Quilting. Trevor Conquergood of Saskatoon, Canada is considered one of the True Embroidery Masters of our time. Just like Walter Floriani Jr, Trevor was extremely fortunate to have been born the son of an Embroidery Master. His father and family lived embroidery. There was never a family meal or function that did not result in a discussion about the Embroidery Process. Over the past several decades, Trevor has used and taught almost every brand of software, and not just for consumers. It is not uncommon for companies who have developed a new software, to summons Trevor to Europe or Asia to teach their teachers how to make the program function and how to teach the features and benefits. Trevor will be teaching a series of classes that are designed to help anyone who has challenges with their software. The first class is titled “Taking the Fear out of Using Your Software”. It is titled in this way as the class will address the concerns and fears of every software owner regardless of the brand. Trevor’s second class is designed much the same, “The Five Functions Most Used in Any Software”. Again, this class is not brand specific, it will hopefully help everyone, regardless of their software brand, zero in on the features that can be the most beneficial for their needs. 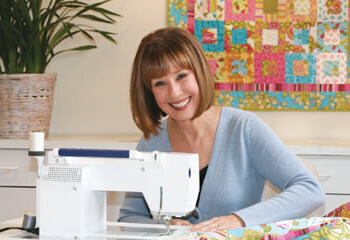 Hope Yoder is America’s leading lady in Digital Cutting, a book author, designer and sewing instructor whose work has been featured in Sew News and Creative Machine Embroidery magazines. Her books are Embellished Heirloom Treasures and Victorian Dreams Heirloom Shirt. 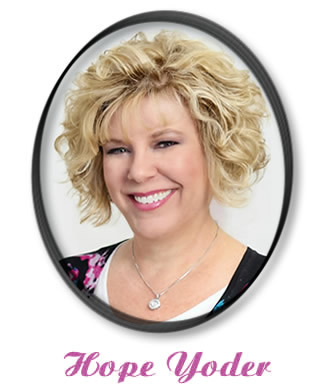 She founded Designs By Hope Yoder, Inc. in 2005 and is currently the face of Craft-N-Cut software, a digital cutting and designing program created for all brands of digital cutters. Hope is the inspiration behind the latest excitement in RNK Software – the Embellish™ Maker and the Embellish™ product line! Hope loves to travel nationally, teaching specialty techniques in hands-on workshops. Kay Brooks, of Steamboat Springs, CO is considered by many as one of the key people who have positively impacted the Home Sewing/Embroidery Industry in the last century. Kay, along with her husband co-founded Best Sewing Inc. of Knoxville, TN in 1989, and in just 12 years they (along with what she and Ricky call the Best Employees in The Industry) grew their business into the largest sales volume single location Sewing/Service Business in the world. Shortly after selling Best Sewing Inc. in 2001, Kay and Ricky cofounded RNK Distributing Inc., a manufacturer and distributor of exclusive specialty products created specifically for The Home Sewing Industry. In 2004, Kay personally developed an entire line of exclusive products called FLORIANI. Her primary mission was to give sewers, quilters, and embroiderers of all skill levels products to help make them more successful in their hobby. Since taking Floriani Products Global in 2006, Kay and Ricky have had the pleasure of working with and developing products for Jenny Haskins of Australia, Alex Anderson of California and Hope Yoder of Sarasota, FL. RNK Distributing is now the source for the Embellish Products, Quilters Select Products, Jenny Haskins Products, and of course the Floriani Product Line. Kay has taught embroidery, sewing and quilting seminars across the U.S. and abroad and has appeared on numerous television segments pertaining to sewing/embroidery. 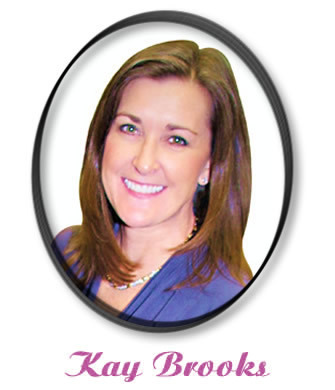 Kay’s advanced knowledge of all brands of Home Sewing Equipment, and her experience in developing and manufacturing of products (created to maximize the performance of each of those various brands) gives her a level of expertise that is unmatched in the field of notion education. If you have ever had the opportunity to attend Kay’s classes in the past, there is no doubt you left with your cup running over with information and amazed at the knowledge she has acquired in less than 30 years in the industry. Her personal experiences, along with a relaxed personality makes her classes fun, informative, to the point and creates a workshop type atmosphere. The classes she will be teaching and co-teaching (with Alex Anderson) at this event will be approached from a totally different perspective than any she has taught before. Bring your notebook, bring your empty cups, and be prepared to be amazed, all over again! Judy Fredenburgh of Franklin, WI is a professional educator for sewing, embroidery, quilting and crafting. Judy’s teaching style takes new technologies and inspires students of all levels to find their unique creativity to exhilarate their sewing and crafting passions. Judy has more than 30 years of experience working in the Sewing Industry. She served as a Corporate Educator, an Event Coordinator, and Managed one of the largest Multi-Line Sewing Machine retail stores in California. 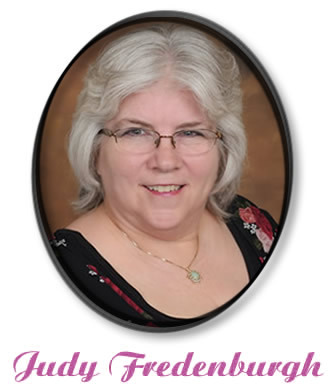 Judy’s vast experience with multiple brands of Sewing Equipment and her Strong Commitment to Sewing Education makes her unique skill set a rare find in our industry. Judy’s passion for all things sewing started in southern California in 1961 when her Grandmother gave Judy her first sewing machine. More than 50 years later, Judy thrives on sharing the sewing bug at locations across the United States! Whether helping others create sewing projects from new crafting techniques or designing precious family keepsakes for generations to come, Judy brings inspiration, passion and an absorbable teaching style to her students. 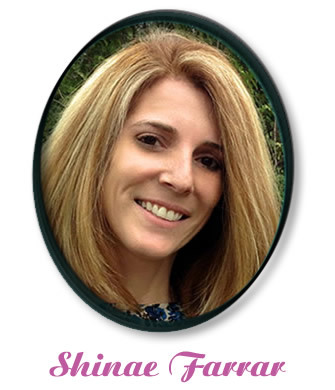 Introducing Shinae Farrar of Crestview, FL. National Educational Coordinator for RNK Distributing Floriani Division. Shinae was not new to sewing, quilting, or embroidery when she joined the Floriani Team. In fact, she began her love of sewing as a young girl playing with her mother’s sewing machine at the age of 9 and occasionally assisted her grandmother with the use of her treadle machine. Shinae’s mother soon realized her daughter had a unique creative ability and gift when it came to sewing. Eventually she began working in a quilt shop and that was when her passion for sewing truly flourished. Almost instantly Shinae advanced from making clothes to quilting, but when she was introduced to embroidery, she knew she had found her passion in life! Soon she had a home based embroidery business, where she could challenge her creative ability almost daily. This is where she discovered Floriani Products, and fell in love with Floriani Quality. In only a short amount of time she joined the Floriani Team of Professional Educators helping to share the news of how Floriani had helped her perfect her embroidery process. Today, Shinae travels coast to coast helping people who love to sew, quilt, and embroider make their hobby more fun and with less stress. When she is not on the road, she is busy being mom to 4 children that are her pride and joy. You will absolutely love Shinae’s down to earth, never met a stranger personality (which she attributes to her mom), and you will be amazed by her creativity. Join her educational event for a very uplifting and inspiring class that will leave you with new ideas to make your hobby more enjoyable. With everything we have planned for our evenings we knew many would want to stay with us at the Event Hotel and we have negotiated an amazing discounted rate for you! Guests can call directly to the hotel at 865-774-4000 or 1-844-776-7359. 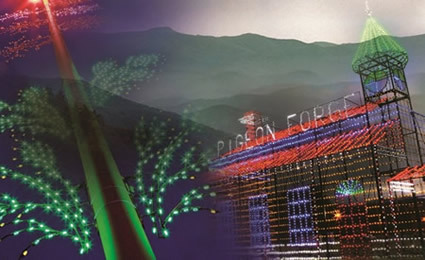 Every Tennessean knows there’s nothing like the Holidays in the Smoky Mountains and this Retreat will place you right in the middle of Pigeon Forge during a parade of unforgettable events! 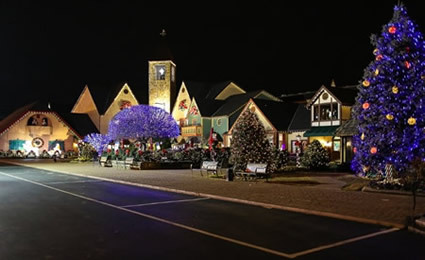 Whether it’s the annual Winter-fest, the Christmas event at Dollywood, or the Bluegrass Festival, there’s plenty for the whole family to see and do while you’re at the Retreat or to experience together in the evenings! Check out these links when planning your trip!